As demand for the country’s exports eases and the real estate sector sags, China’s government is hoping economic momentum will be maintained by greater consumer spending on goods and services. Hoping the same is e-commerce giant Alibaba Group, which is targeting its annual 12.12 shopping promotion for a major push into the fast-growing local-services market. Alibaba-related companies have recruited more than 300,000 brick-and-mortar stores in China and around the world to participate in the Dec. 12 sale by offering discounts to consumers who use their mobile phones to make a wide range of so-called “on-demand” purchases, from fast food to movie tickets to taxi rides to car washes to haircuts to fresh fruit. It’s all part of a drive by Alibaba-affiliated Alipay, China’s largest e-payments provider, and Koubei, Alibaba’s local-services platform, to get traditional businesses involved in omnichannel retailing, which seeks to capitalize on the pervasiveness of the smartphone to blend the strengths of the online and offline shopping experiences. 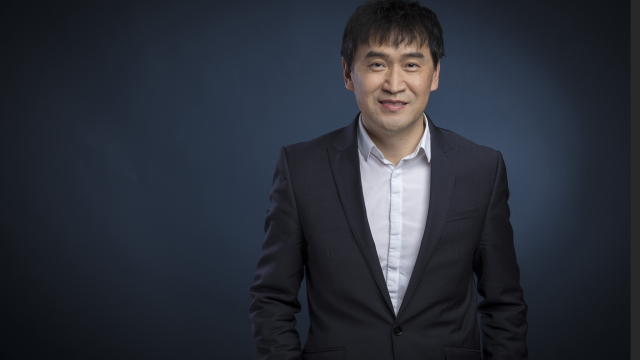 “Our goal is to facilitate offline retailers by leveraging our technologies, platform and resources in our ecosystem, helping them to upgrade themselves to tap into the digital era,” said Koubei CEO Samuel Fan. To get more consumers to use their phones to locate and pay for goods and services in stores, more than RMB 1 billion ($156 million) in discounts and e-coupons will be on offer during the 12.12 sale according to a joint press release from Alipay and Koubei. Millions of bargain-hunters are expected to get involved, Fan said. By working with Alipay and Koubei, brick-and-mortar merchants can provide consumers with a digital payment solution as well as other relationship-building tools such as store memberships, consumer finance, and targeted marketing services. Koubei was rebooted earlier this year when Alibaba Group and Ant Financial Services Group, Alipay’s parent, pledged to invest nearly $1 billion in the platform, aiming to capture a share of the booming Chinese local-services market. As more Chinese use smartphones for everything from shopping to booking restaurants, local services have become a key battleground for China’s Internet giants. Omnichannel retailing, also known as online-to-offline (O2O) e-commerce, has been featured during Alibaba’s annual 12.12 sale before. Last year, 50 percent discounts on the day triggered long queues at supermarkets, vending machines and fast-food outlets, with sought-after products selling out within a few hours. Some 20,000 offline merchants joined the sale last year. This year, 15 times that number are expected to participate in more than 200 Chinese cities. Among them are restaurants such as KFC, McDonald’s, and Grandma’s Home; hypermarkets and convenience stores like Carrefour, Wal-Mart, Family Mart and 7-11; apparel stores like Uniqlo; as well as hair salons, cinemas, fresh-food markets, gas stations and others. Carrefour, for example, plans to give customers 50 percent discounts that can save them up to RMB 50 ($8) on one-time purchases made using Alipay. 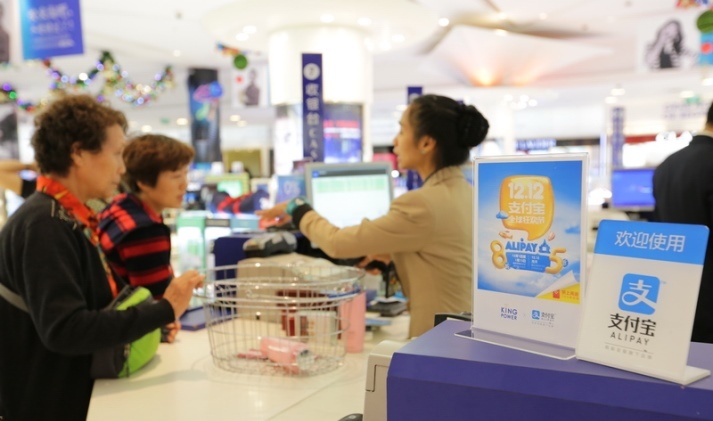 Carrefour began accepting Alipay at cash registers in its China stores in May. Alipay this year is using the 12.12 sale to promote its use as a payment solution for Chinese tourists traveling overseas in 12 countries and regions. 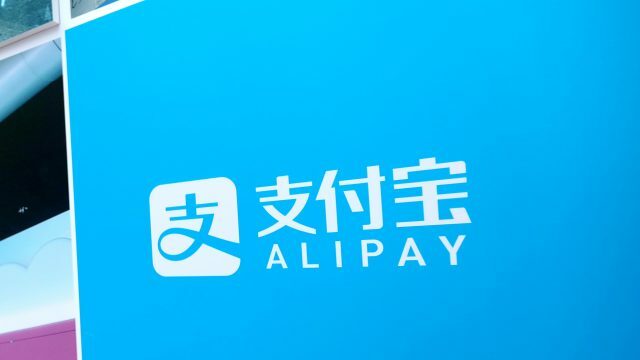 UGG shops in Australia, King Power duty free shops in Thailand, Lotte malls in Korea, Bonjour cosmetics shops in Hong Kong, and Takeya in Japan, all of which are popular destinations for Chinese travelers, will join the campaign and offer discounts for Alipay users. The famed Ningxia night market in Taiwan will allow Alipay users to buy meals for just one yuan on Dec.12. 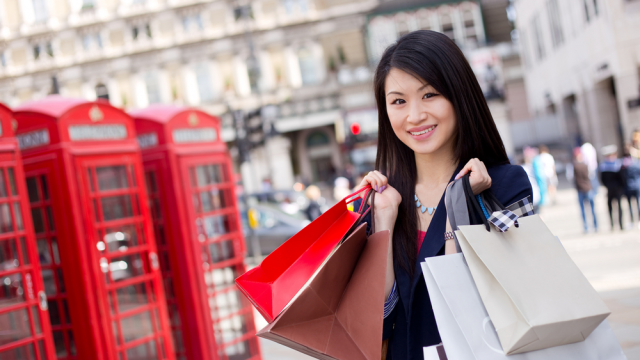 Alipay is available as a payment solution in more than 50,000 overseas shops and restaurants. It is also providing simplified sales-tax refund services for purchases made by Chinese tourists in more than 24 countries.